The path to becoming a lawyer is not an easy one. It is one that takes over two full decades to complete. One of the most difficult steps is attending law school. Law school is a rigorous three-year program designed to push students to the limit while fully immersing them into the world of law. But first, they have to get in. 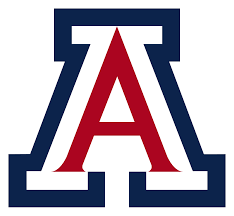 The standards for acceptance are high, although the University of Arizona James E. Rodgers College of Law is now offering individuals an alternative path to acceptance. The University of Arizona Law School will now accept the GRE as an alternative standardized test to the Law School Admissions Test (LSAT). Prior to this change, prospective law students were required to take the LSAT. They now have the option of taking the GRE as an alternative to the LSAT. The University of Arizona Law School decided to open admissions to GRE test takers following a study conducted by the Educational Testing Service. The study determined that success on the GRE would be a reliable predictor of a student’s probable success in law school and taking the subsequent bar exam. “We believe the goals of excellence and diversity in legal education and in the profession will be better achieved if the LSAT is not the only standardized test used by law schools. By using the GRE test, which is accepted by thousands of graduate and professional degree programs, from biochemistry to public policy to philosophy, we are able to consider qualified applicants from more diverse backgrounds,” said Dean Marc Miller.